Our own cows are predominately Red Angus but we currently contract graze many different breeds of cattle. 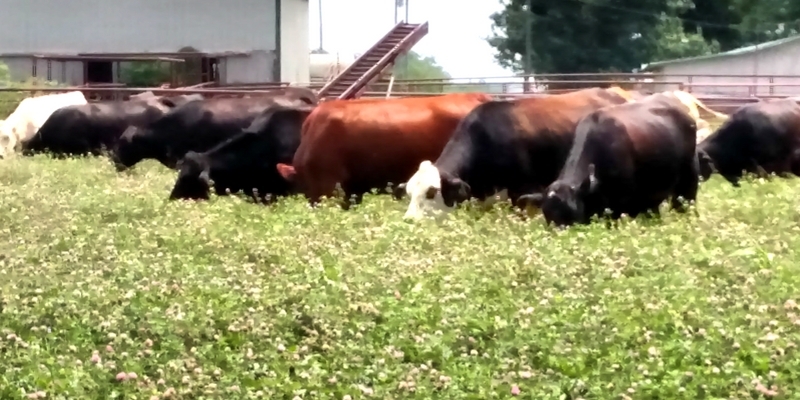 The cow’s role on the farm is to convert large amounts of forage into tasty beef. Their size and hardines s make them relatively maintenance free animals especially when combined with our grazing management. 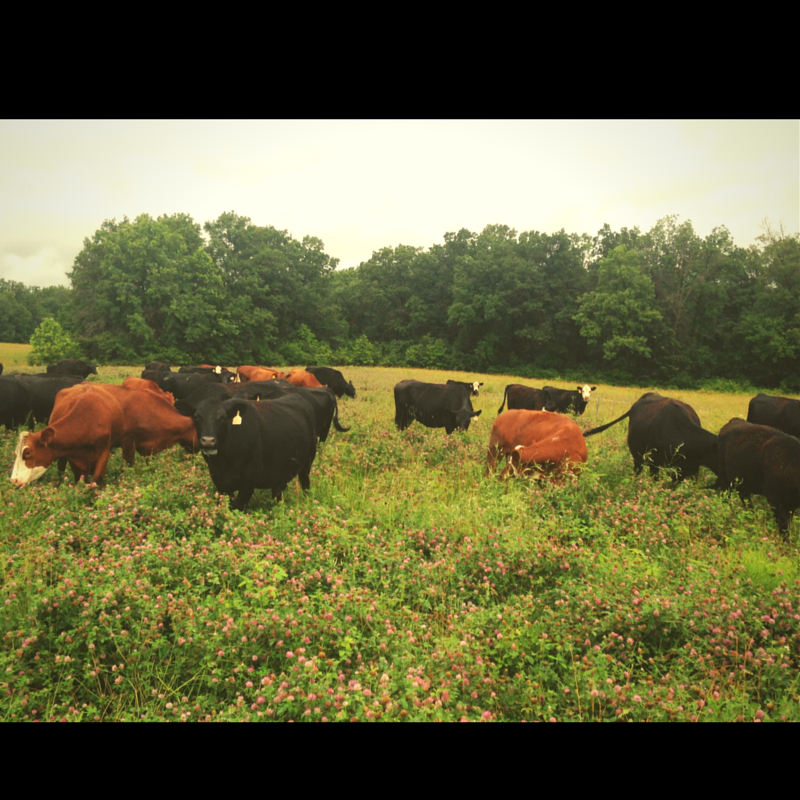 The cattle consume a diverse mix of grass, forbs, and legumes producing extremely nutrient dense beef.